Belmonte, Portugal - To a casual observer, the weekend routines of the Jewish community of this placid town of about 6,000 in eastern Portugal are deceptively normal. There are Shabbat services at the local synagogue on Friday night and Saturday morning, and receptions at the local Jewish museum. 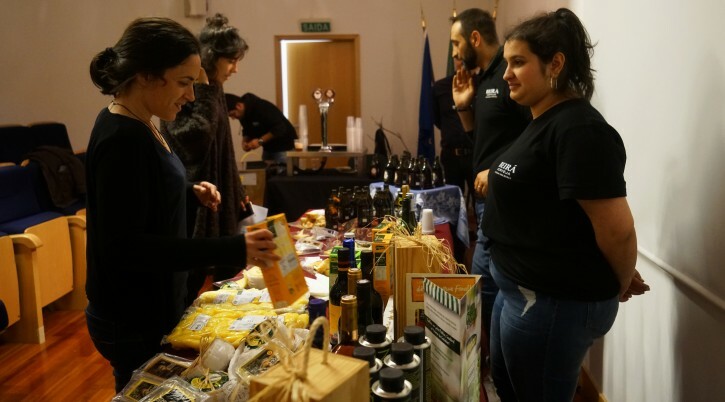 Once a year, a small Sunday kosher market is held by the approximately 70 members of its Jewish community of Belmonte — the only one in Portugal outside the larger cities of Lisbon and Porto. But the community here is the only one on the Iberian Peninsula that has retained rituals and other quirky elements of its identity that date back to the Spanish Inquisition, thanks to the sacrifices and commitment of successive generations of crypto-Jews — Jews who were forced to convert to Christianity under the Inquisition but continued to practice Judaism in secret. 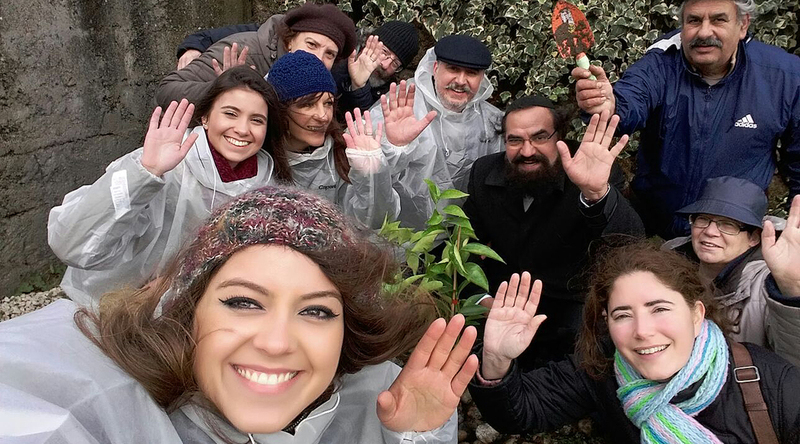 This year, the Jewish Community of Belmonte is for the first time seeking from the government equal status and access to funding as those enjoyed by Portugal’s two larger Jewish communities of Lisbon and Porto. The post-Inquisition Jewish presence in Belmonte was first documented in 1917 by Samuel Schwarz, a Jewish engineer from Poland who was working at a nearby tin mine when he noticed peculiar habits of certain families in the town. In a 1925 book titled “New Christians in Portugal in the 20th Century,” he chronicled how only three Jewish holidays were observed in Belmonte: Passover, the Fast of Esther — part of the Purim holiday — and Yom Kippur. On Yom Kippur, Jews would meet to play cards so as not to appear to be worshipping, and they’re still following the custom today. Shabbat was regularly observed, featuring three daily prayers, Schwarz wrote. On that day, Belmonte’s crypto-Jews did not eat pork. Today, pork is off the menu for most Belmonte Jews, who eat mostly kosher food — some of it even locally produced, including two types of beer and several kinds of cheese. The food is on display at the annual kosher market during the High Holidays period, where actors dressed in medieval costumes regale visitors with scenes from that period. Some of the enactments show Jews sobbing upon learning of the Inquisition’s arrival in Portugal and Jewish merchants haggling while peddling textiles. The members of the Jewish community don’t seem to mind the humorous approach, playing along with the acts. “The story of Belmonte’s Jews is like something out of a fairy tale or science fiction series,” Eliyahu Birenboim, a former chief rabbi of Uruguay and the head of Israel’s Strauss-Amiel Rabbinical Seminary, wrote in a 2012 essay detailing his research of the place. There are darker sides to the community’s strict adherence to centuries-old customs. It’s so old and tight knit that the inmarriage that helped sustain the community at one point has created endemic health problems to many of its members. Many community members suffer from night blindness, among other afflictions. One family has a gravely ill daughter due to genetic complications, said Elisha Salas, a Chile-born rabbi who led the Belmonte Jewish community for eight years before leaving for El Salvador in 2018. This issue exposes Belmonte Jews to ridicule by some of their coreligionists from elsewhere in Portugal. “They are all pretty much married to their cousin,” Salas said of his previous congregation. Then there are the normal challenges of life in a small and remote Jewish community. Belmonte’s rural area offers few employment opportunities, and there are only a handful of Jewish children there, raising concerns about the community’s long-term viability. Several dozen people have left for Israel in recent years. Salas said the effects of this depletion has deepened the impact that old family feuds have on communal life. “There are whole families who are not on speaking terms not because of something that went on recently,” but due to fights over unrequited marriage proposals from decades ago, he said. The Jewish communities in Lisbon and Porto announced last year with a Chabad rabbi the formation of a national rabbinical council, omitting Belmonte. In fact, the community wasn’t even informed in advance of the council’s creation, Salas said. Belmonte also is not recognized by the state as qualified to vet citizenship applications by descendants of Sephardic Jews. (Portugal passed a law in 2015 that said it will aim to naturalize descendants of Sephardic Jews who can prove their heritage.) This owed to the fact that at the time of the law’s passage, the community had not yet been officially registered with the state for a required minimum period of 30 years. But the community will hit the mandated mark later this year. It will be at the Justice Ministry’s discretion to recognize Belmonte as vetters once its application is complete; the application is in its early stages. When asked, representatives from the communities in Lisbon and Porto would not explain why they excluded Belmonte from the rabbinical council. Gabriel Szary Steinhardt, the president of the board of directors of the Jewish Community of Lisbon, said JTA’s questions on the matter “do not deserve any response at all.” Meanwhile, the Jewish Community of Porto accused a JTA reporter of working “for proselytizing organizations,” which it did not specify. The vetting issue is more than about prestige. It has been an unexpected cash cow for the two larger communities, which charge hundreds of dollars for each application, of which there have been hundreds. Salas said the Jewish Community of Belmonte has hired a lawyer and is taking legal action to obtain recognition as a certified vetter. The dispute underscores the historical differences between the community in Belmonte and those in Lisbon and Porto. While Belmonte Jews are the descendants of those who steadfastly stuck to tradition in secrecy, and against harsh odds, the two others are made up of a mix of Ashkenazi and Sephardi Jews who immigrated in or after the 19th century, and bnei anusim (or forced converts) who converted back to Judaism as individuals. Despite the challenges, the Belmonte Jewish community may cheat death yet again, Salas suggested. The Sephardic citizenship law is bringing dozens, perhaps even hundreds, of Jewish immigrants to Portugal, primarily from Latin America and Israel. At least three Jewish families have bought homes in Belmonte in recent years. There are also hopes that this trend will increase with the completion of the first train station here, connecting it with major cities. 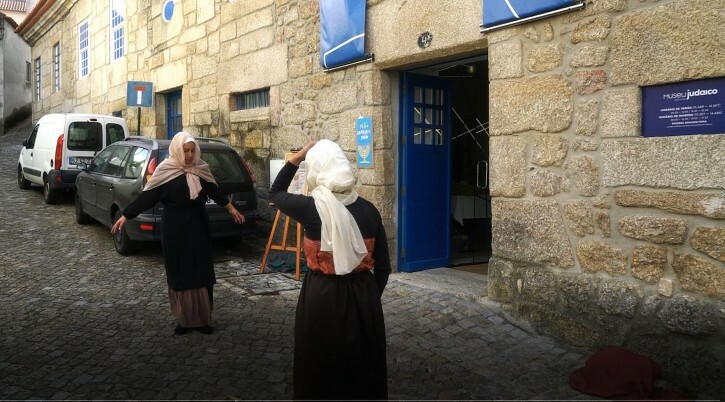 And if Portugal allows Belmonte to vet citizenship applications, its Jewish community would come by a substantial source of income for communal activities and institutions, such as a school, which the community does not have.